GREAT VALUE! 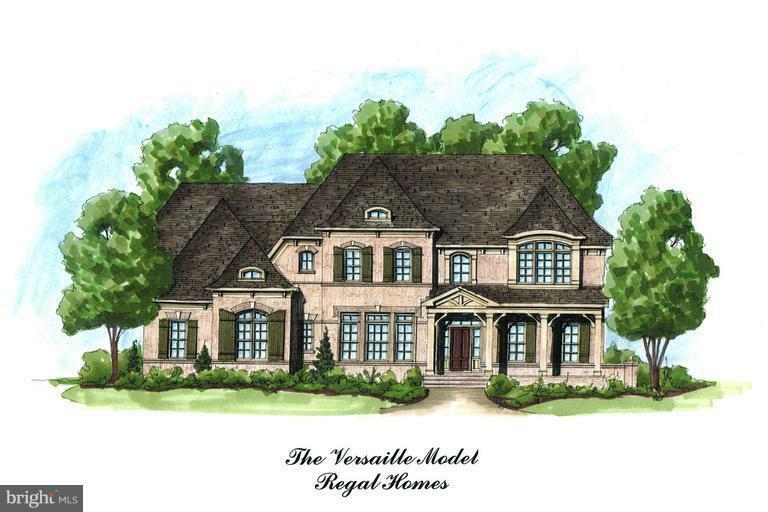 Regal Homes, one of the finest builders of custom homes in the D.C. Metro area. The house next door was built and sold by same builder and is offering a new home in beautiful Great Falls, Virginia. The attractive homesite is a lush 1.7-acre lot along historic Georgetown Pike in convenient proximity to renowned academic institutions, less than 1 mile to the quaint shops and dining establishments of Great Falls Village, just 8 miles to the world-class business centers of Tysons Corner, and 11 miles to Dulles International airport. The high-quality home to be constructed of Hardie finishing exterior is designed for modern living and chic entertaining. Features of the 8,000+ interior include 5 bedrooms, 5 full and 2 half baths, custom cabinetry, abundant windows streaming natural light, gourmet kitchen with breakfast bar and Thermador appliances, family room with gas fireplace, butler~s pantry, library/office, and a gorgeous master suite and bath with spa tub and separate shower. The walk-up lower level includes a recreation room with wet bar, a media room, the 5thbedroom with full bath, and generous storage space. Options can include a sunroom off the kitchen club/game rooms in the lower level, owner~s suite sun deck and in-ground sprinkler system. 3 car garage Modern amenities such as an audio system and central vacuum complete the home. Built to high standards of engineering and design, this custom residence will be treasured for generations.